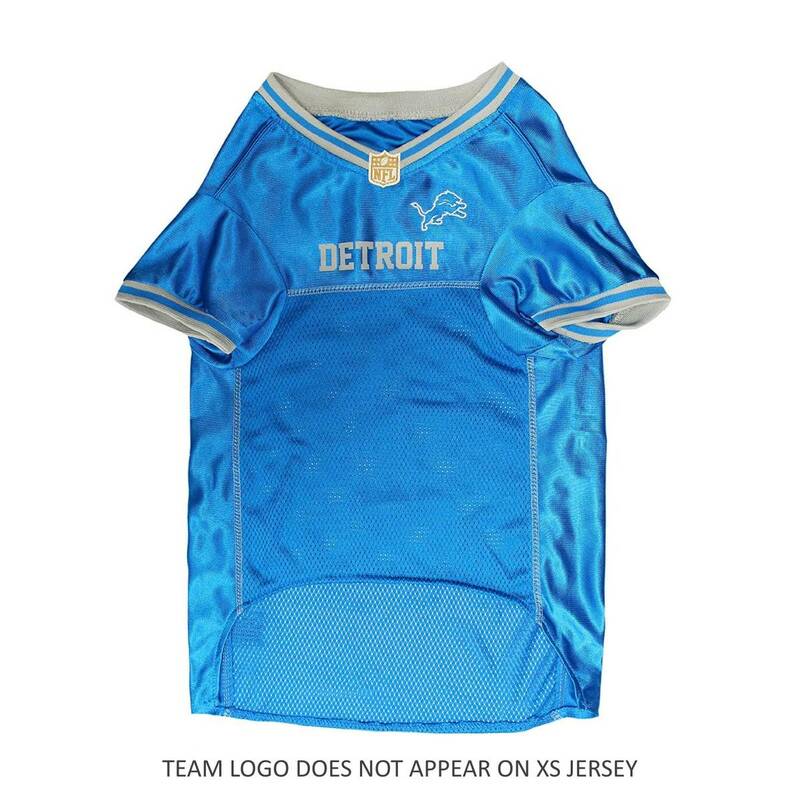 Get your dog ready for the game with this officially licensed NFL dog jersey designed with the Detroit Lions team colors and logo! Get your dog ready for the game with this officially licensed NFL dog jersey. 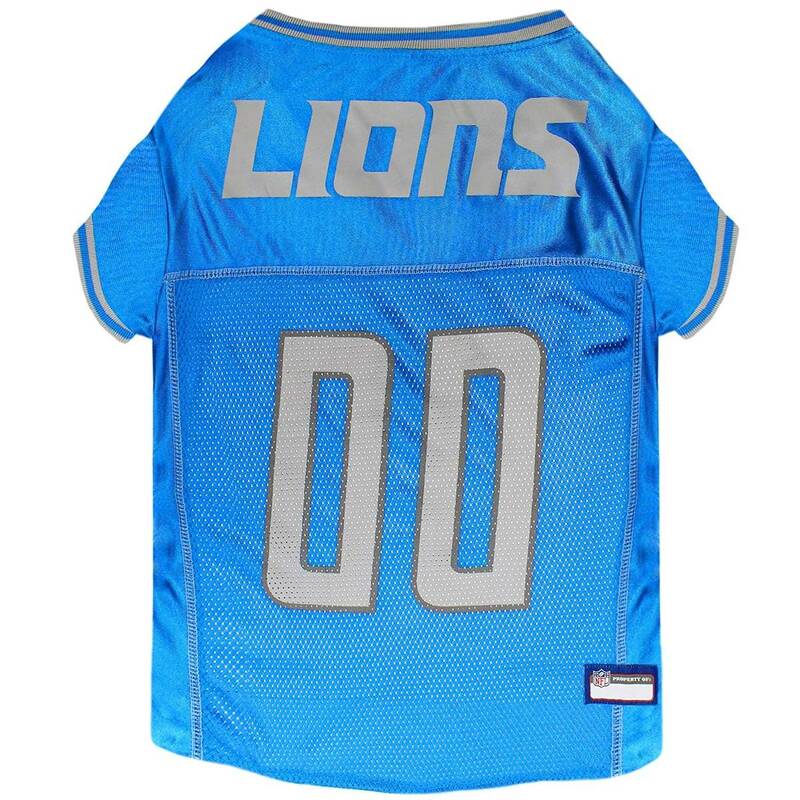 This 100% satin and poly mesh jersey is designed with the Detroit Lions team colors and logo. Features woven trim on neck and sleeves, over lock stitching detail, woven jock tag on the back, and a woven NFL shield patch on the front.